“DAY in and day out, growing up in my hometown of Cherbourg, about 250km northwest of Brisbane, I have seen things that would shock most people. Twelve-year-olds smoking cigarettes, 15-year-olds drinking alcohol and smoking marijuana, 18-year-olds pushing needles in their arms while the men in my community abuse their partners on a daily basis. This was part of “normal”, everyday life for my family and me. We all knew these things were wrong but accepted it, and not much was done to discourage it because the children were only doing what their parents do. Five years ago, I was given the opportunity to leave Cherbourg to study at boarding school in Toowoomba with a scholarship from the Australian Indigenous Education Foundation. I now see things very differently. Yesterday, I became the first person in my father’s family to finish Year 12; next year I’m going to study social work at university. AS a young girl in Bowraville, Carlie Smart watched her fellow Aboriginal friends, relatives and community members get carted off to jail and stung by the system. 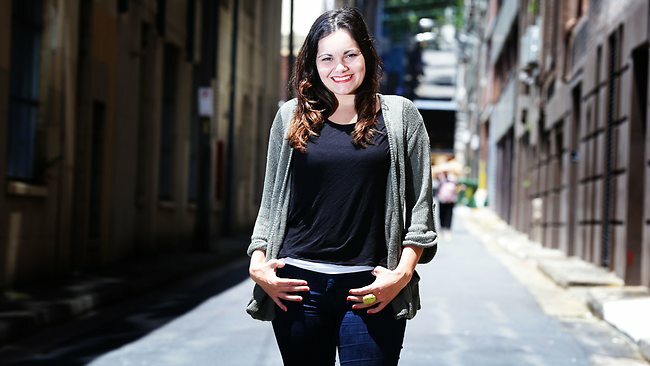 Later, she learned more about the disproportionate rates of incarceration compared with other Australians and decided she would try to learn more – never realising it would spark a series of events that would lead to her becoming the first indigenous law student from the area. JANET Mardbinda will return to the remote community of Warruwi as the first person from the local school to have completed their Year 12 certificate. Warruwi is the main township on South Goulburn Island, which is about 290km east of Darwin. Its 400-odd inhabitants speak a mixture of languages, including Mawng, Walang, Kunwinjku and English. Ms Mardbinda spent most of her time at Warruwi School, but flew to Darwin occasionally for specialist help with Year 12 studies from teachers at NTOEC, a distance education provider. With her for the historic moment and gushing with pride was grandmother Rachel Meiyinbara. ECONOMISTS see reducing sexual inequality in education as a vital part of promoting development. As a result, the UN set itself the target of eliminating gender disparity in education at all levels by 2015, as one of its Millennium Development Goals. 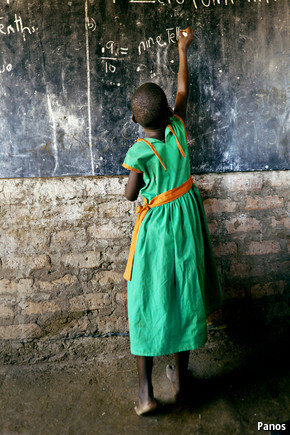 Girls’ education improves annual income and health, including reductions in child mortality. “If you teach a boy, you educate an individual”, an African proverb says, “but if you teach a girl, you educate a whole nation.”Places like China, Bangladesh and Indonesia look likely to achieve the UN target of eliminating gender disparity in education at all levels by 2015. However, Africa will not. UN and other schemes finance school places for girls in 15 sub-Saharan countries but a new paper suggests that such initiatives are not enough to end inequality in education and finds that girls’ school attendance decreases much more than boys’ during droughts. To keep girls in school, development agencies may need to focus on measures to boost household income when times are tough, such as weather insurance or savings schemes. Can ‘Development investment’ do more to bring the world out of poverty than development aid? The Australian Tax Office has released two videos to help Indigenous Australians who are currently running a business or thinking of starting a business. They feature business owners Deb and Sharon, who talk about their experience with business tax and super and also as business owners creating opportunities within their community. After using the ATO’s free information and support services available to small business, Deb and Sharon now encourage other small business owners to get the information they need. Watch the videos on the ATO’s YouTube Channel to hear Deb and Sharon’s stories. Browse the information for Aboriginal and Torres Strait Islanders on the ATO website for help understanding tax and super obligations. INDIGENOUS Business Australia, the federal government indigenous development agency, has assisted 664 households into home ownership in the past year, compared to 404 in 2011-12. IN INDIA there are about 280m cows. They produce valuable things—milk, dung and calves. But cattle are expensive to keep. These expenses are so high that cows are often a poor investment. The average return on a cow is -64% once you factor in the cost of labour. But the authors suggest that there may also be sound economic reasoning behind cow ownership. Only 7% of Indian villages have a bank branch. That means people lack a formal savings mechanism for their spare cash. Owning a cow may be a better savings option.